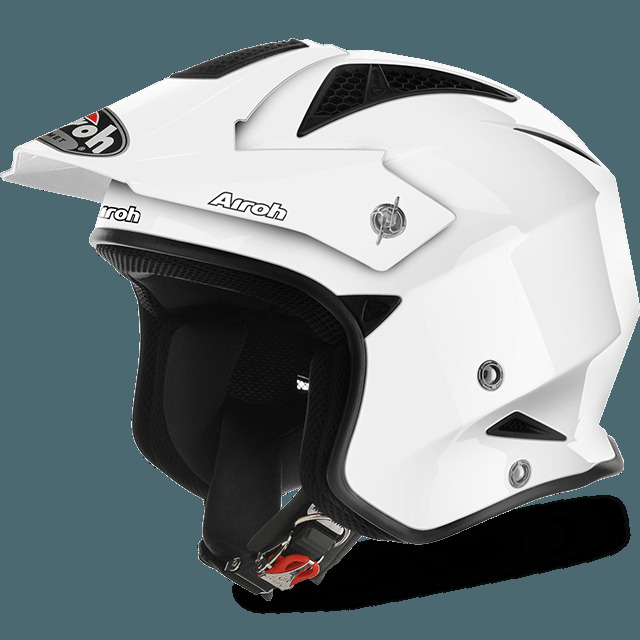 This all new helmet from Airoh is the hottest thing on the market! This helemt has a very unique vent system that keeps the rider dramatically cooler in warm weather. Removable plastic pieces allow you to cover the vents in rainy conditions to keep you dry as well! The TRR Color has been wind tunnel tested for optimal shape while retaining a very stylish look. At only 900 grams, it is one of the lightest trials helmets on the market! Worn by most top world level trials riders like Toni Bou, Adam Raga and Jeroni Fajardo!